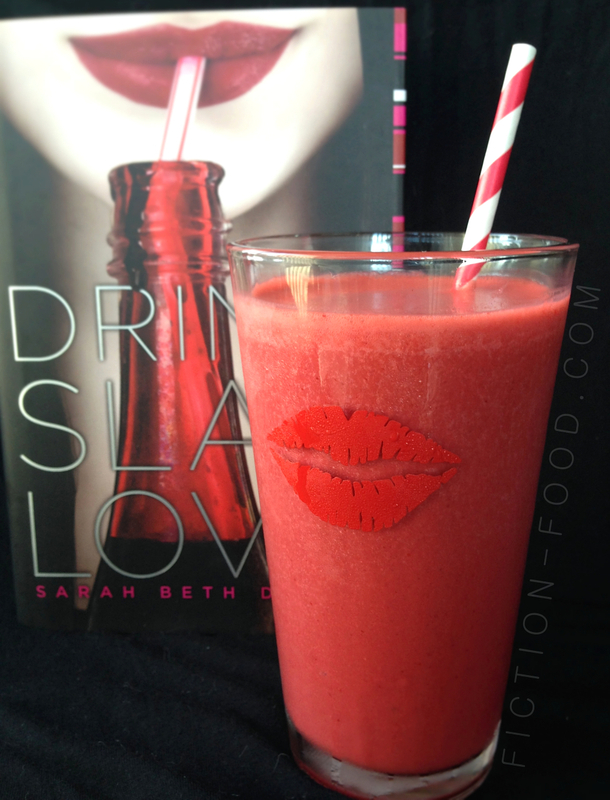 You have a hankering for something refreshing; something to soothe your itching throat. How about the local ice cream parlor? You know a guy there. You enter the establishment and make eye contact with the young man behind the counter. In a few minutes you have a cup of ice cream and an awkward but hopeful boy trailing behind you. Once out the alley-side door you sit on the stoop and hand him the cup. He's confused but obliges. You nuzzle up to him and can feel his heart racing. You smile. You almost feel sorry for him. Almost. He takes another shaky bite as you press closer. He's about to say something but only twitches as your teeth sink into his neck. Delicious. Your favorite flavor–mint chocolate chip and teenage boy. The poor sap's eyes are glazed over now. You detach your fangs and lap up the trickles from his already healing wound. You stand to leave and he stumbles back inside. He won't remember a thing; he never does. You couldn't care less anyway. 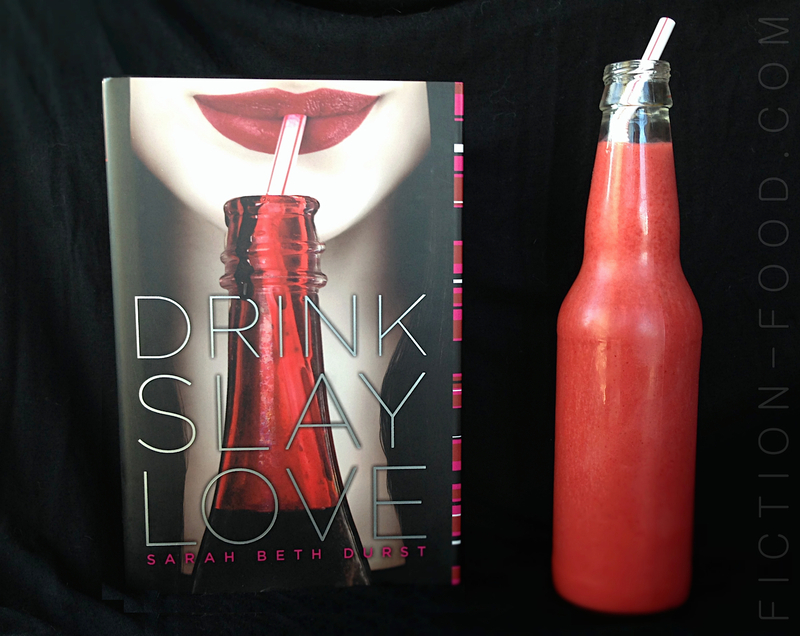 Drink, Slay, Love by Sarah Beth Durst, about a teenage vampire girl developing a conscience, is one of my favorite fun-but-with-a-serious-side urban fantasy reads. For a little more about the book, please read my previous post here. 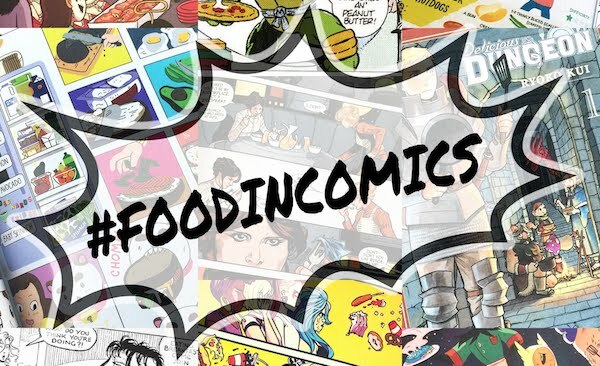 Note: The recipe below makes a milkshake but if you'd like more realistic looking blood–for decoration, garnish, or to ingest in small quantities like shots or something–keep the chocolate syrup and red food gel ingredients but omit the milk and ice cream and instead stir in some corn syrup. Use small amounts until you get the color and consistency you like. Stir in a tiny drop of crème de menthe for the mint flavor. 1. In a large cup or liquid measuring cup stir together the melted ice cream & milk. Add in the chocolate syrup & stir until combined. Stir in several drops of red food gel, enough to get a deep color. 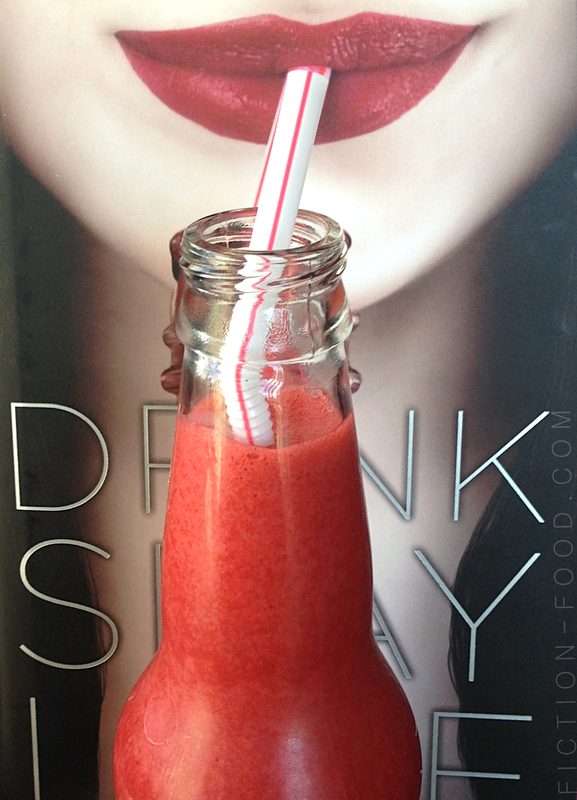 Pour into a tall glass or glass bottle, leaving behind the chocolate bits (just spoon those out & eat them! ), & serve with a straw. And please exercise self control. We don't want to have to burn down any ice cream parlors because of you. 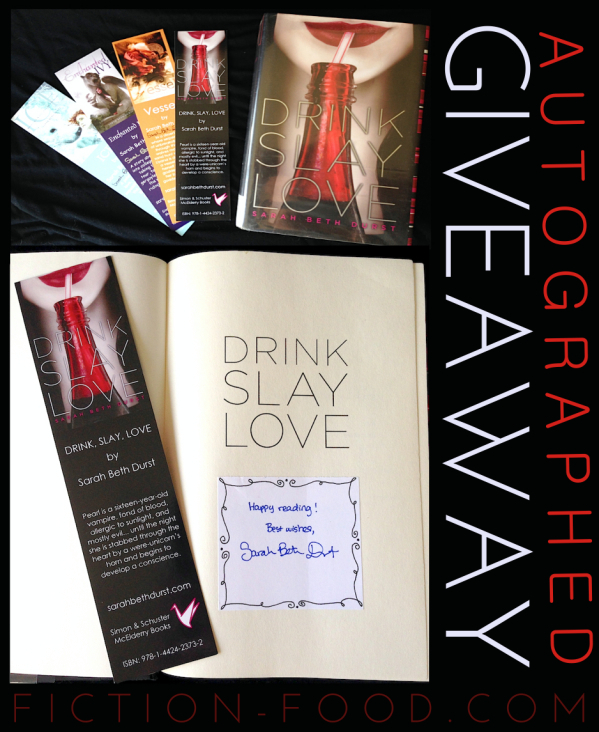 To celebrate this awesome book as well as the author Sarah Beth Durst, I'm giving away an autographed, hardcover* copy of Drink, Slay, Love plus a Drink, Slay, Love bookmark, along with a set of bookmarks for three of Sarah's other books, Ice, Enchanted Ivy, and Vessel, each signed by Sarah. 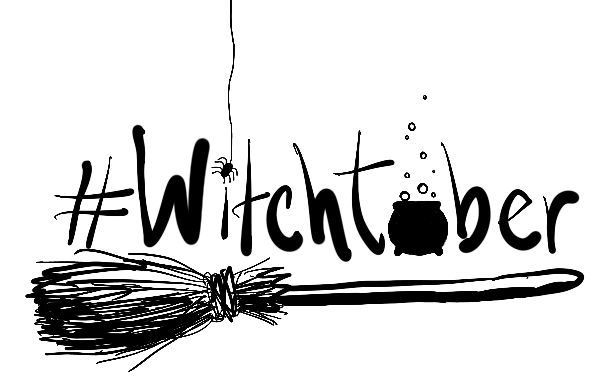 To enter, simply fill in the Rafflecopter form below. This giveaway is open to US residents only and will end on 11/3/14 at 11:59 PM PST. Good luck! *The hardcover book is a former library book with a clean archival cover around the dust jacket and is in great condition. There is a call number sticker on the spine, a library stamp on the back end paper, and a "withdrawn" stamp on the top page edges (visible when the book is closed). There are no markings or torn/bent pages. I think my flavor of choice would be something boring, like honey or caramel. The book looks fun! I'll have to check it out. Not boring at all! Something sweet to compliment the salty. Cherry flavored would be my flavor of choice for blood. LOL. I would choose a watermelon flavor!